Today I have a goodie for you from my IG friend @poison0ak. 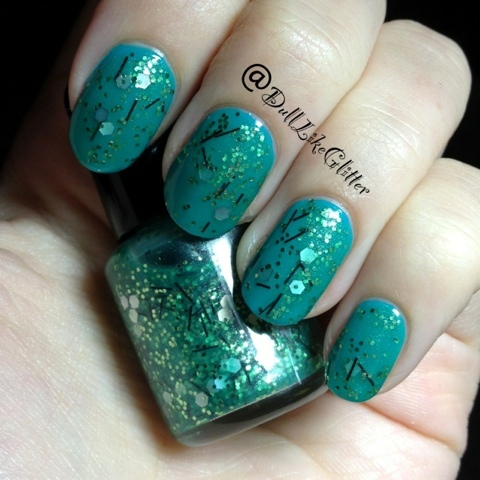 She has her own indie line of polish called Franken Fingers that she sells on her Etsy store. This little guy is It's Alive. All of her polishes are named after some sort of horror genera or character! I started with an underwear coat of Butter London's Slapper. I put two coats of It's Alive over top! 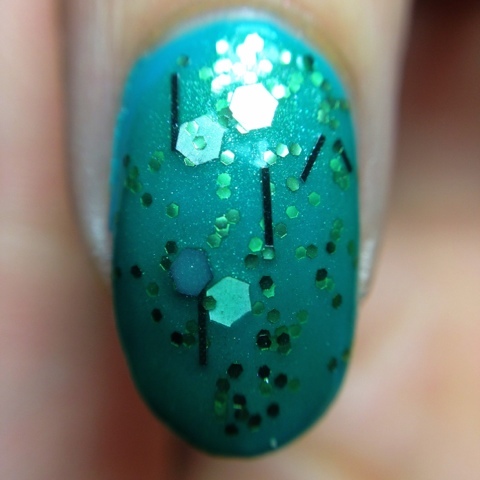 It's a shimmery teal/green jelly base packed with small green hex glitters, black bars and large holo hexes. You can really see the shimmer in this picture as well as the jelly sandwich effect that you instantly get from this polish. I love this funky look! Definitely check out Franken Fingers for more home concocted recipes.